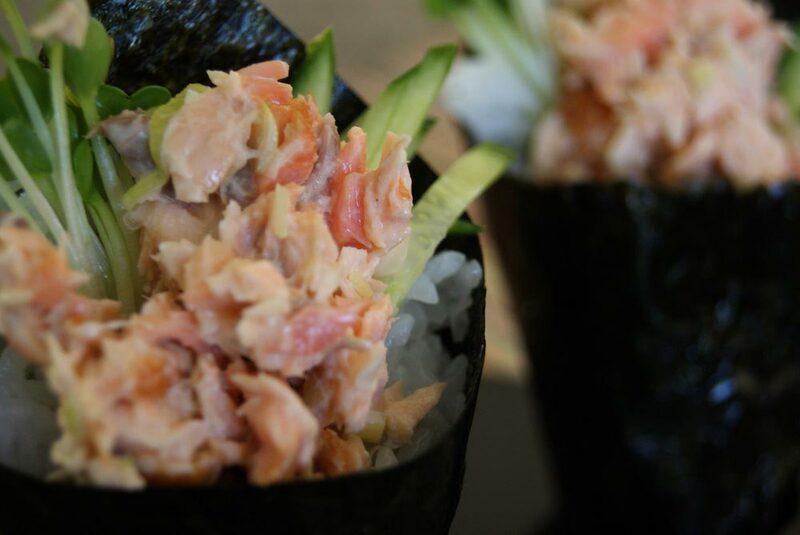 Temakizushi is a cone-shaped, hand-rolled sushi. 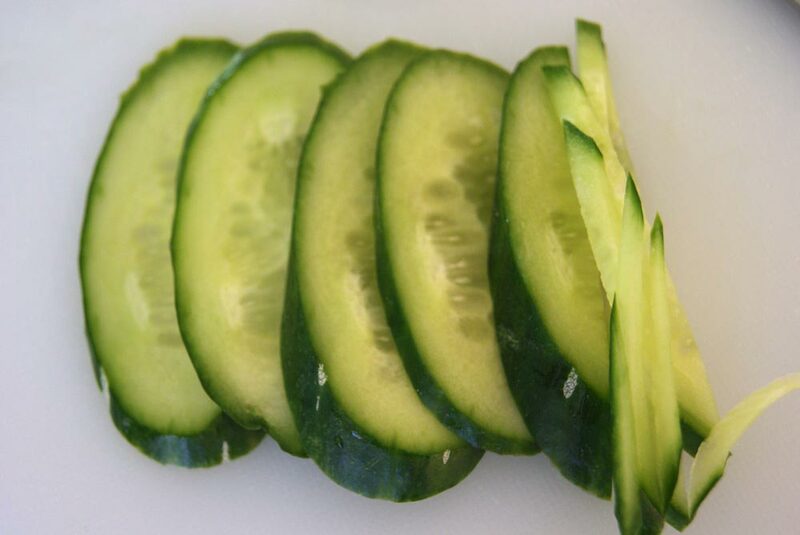 I think they’re great for days when you want a light lunch or dinner. 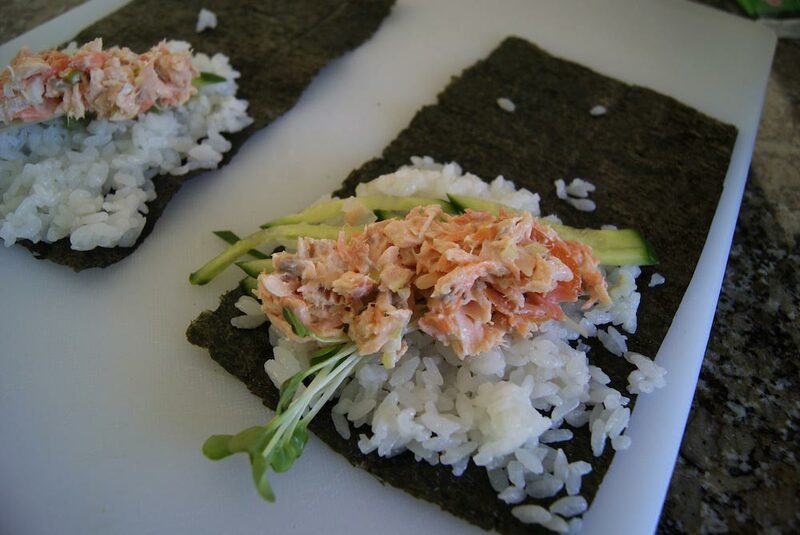 You can use lots of different ingredients when making temaki, but my favorite ingredient is salmon. 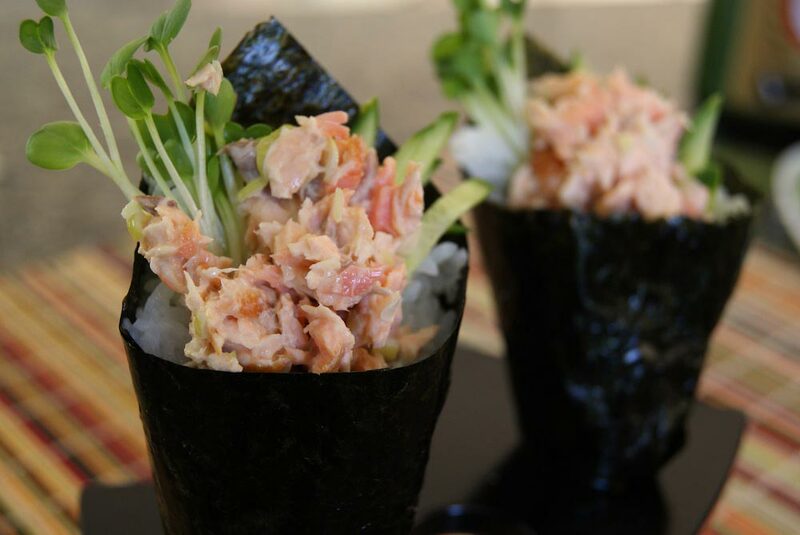 So, this recipe will be salmon temaki! 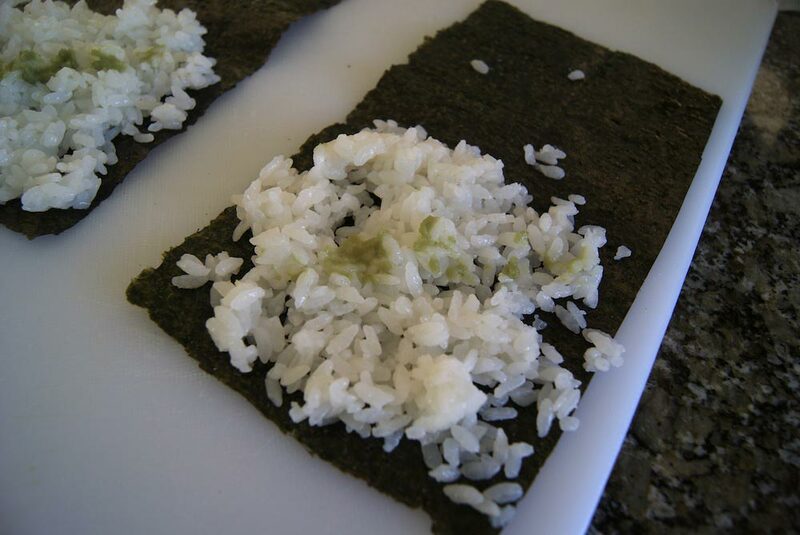 I prefer the larger square sheets of nori over the temaki sized sheets, since I make different kinds of sushi rolls. For temaki, I just cut the square nori in half. 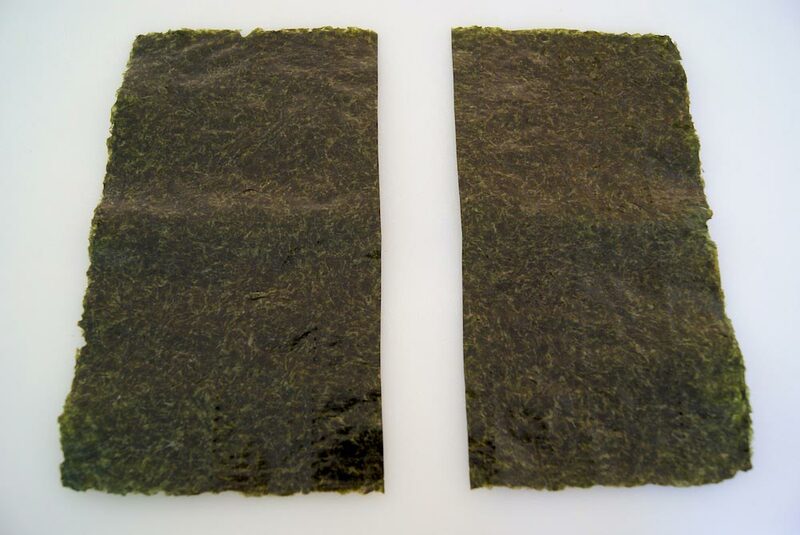 Each sheet of nori has a smooth side and a rough side. The rice goes on the rough side. 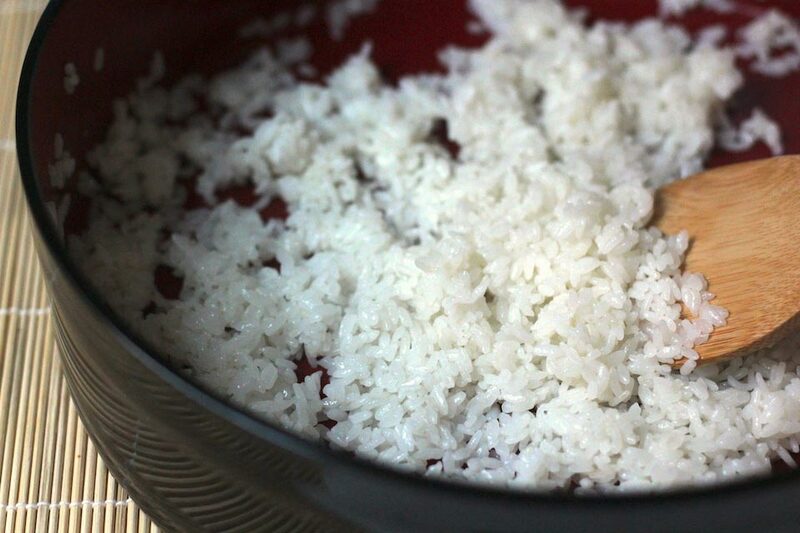 It’s good to have a bowl of water nearby to prevent rice from sticking to your fingers. 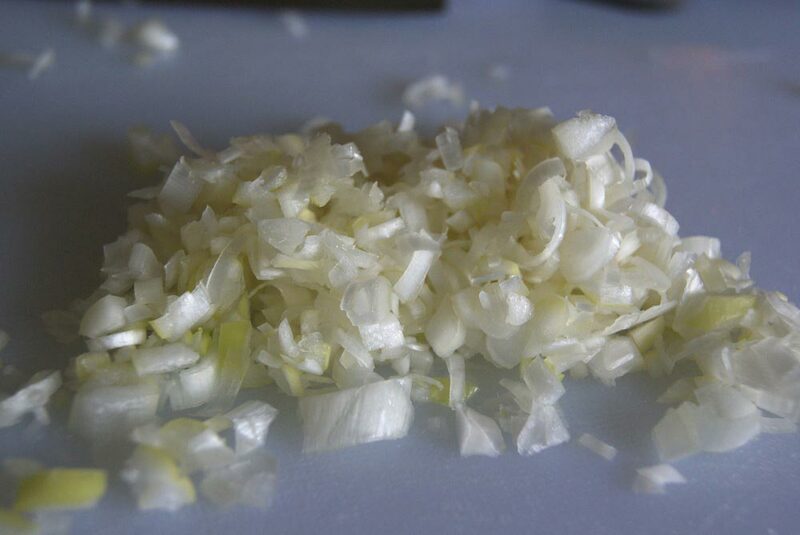 Also, If you can’t find tokyo negi, just use green onion instead. I like to add Wasabi for an extra kick but if you don’t like it, you can leave it out.
. My guests like it very much! Make sushi rice. Set aside and let it cool down completely. Lightly season salmon fillet with salt. 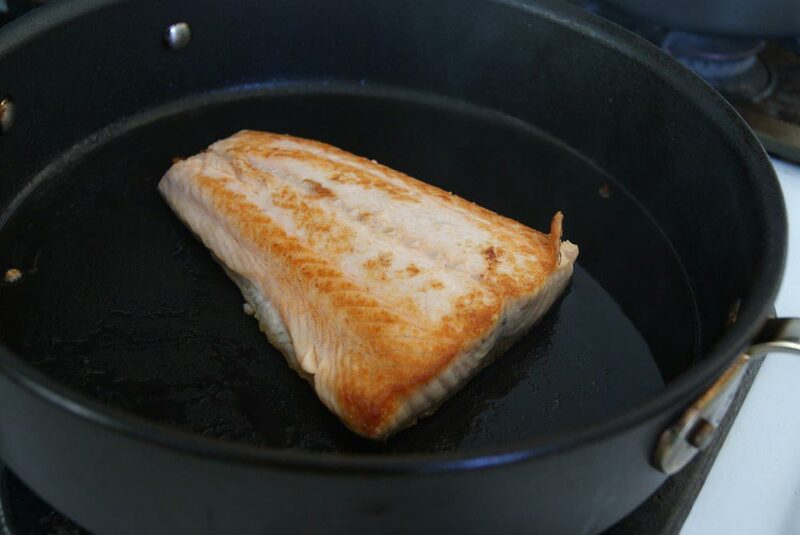 Heat oil in a pan and fry salmon until cooked. 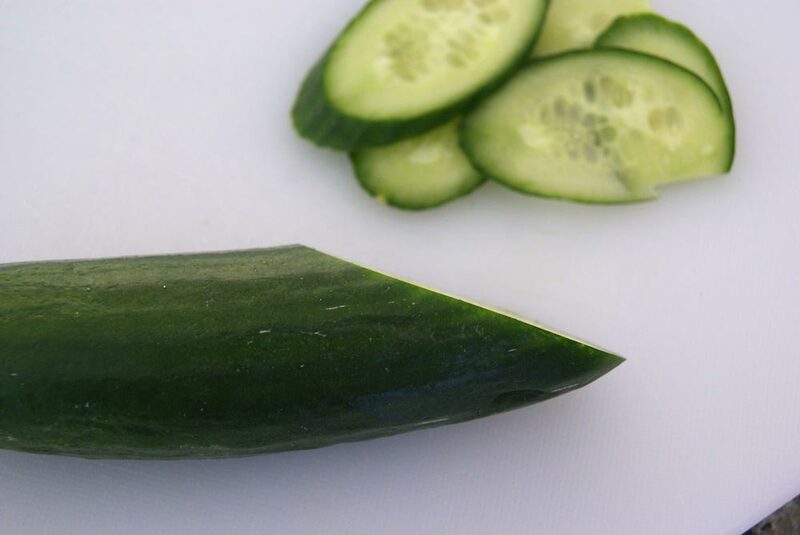 After cooking, set aside and let it cool down. 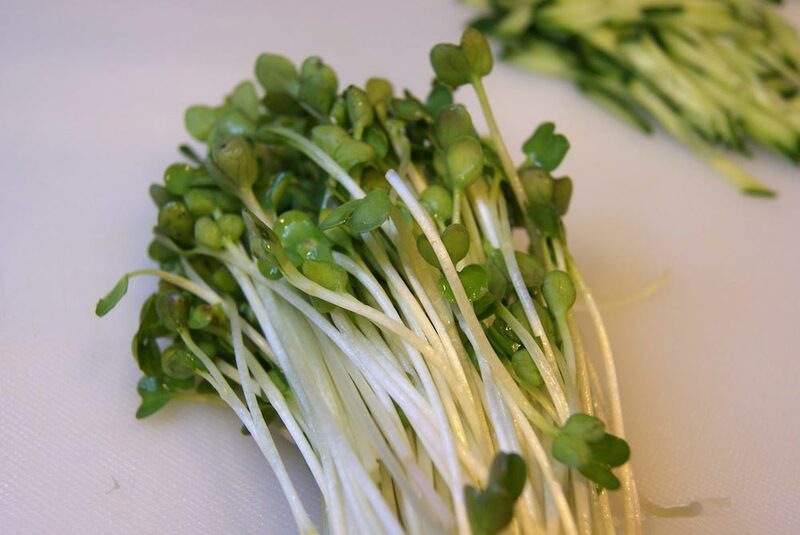 Clean Daikon Sprouts. Mince the tokyo negi or green onion. 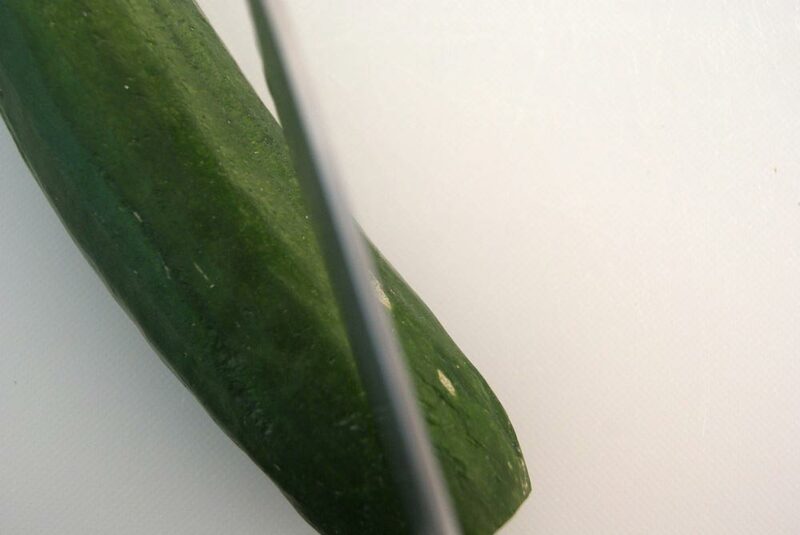 Cut the baby cucumber into long thin strips (Julienne Strips) and set aside. 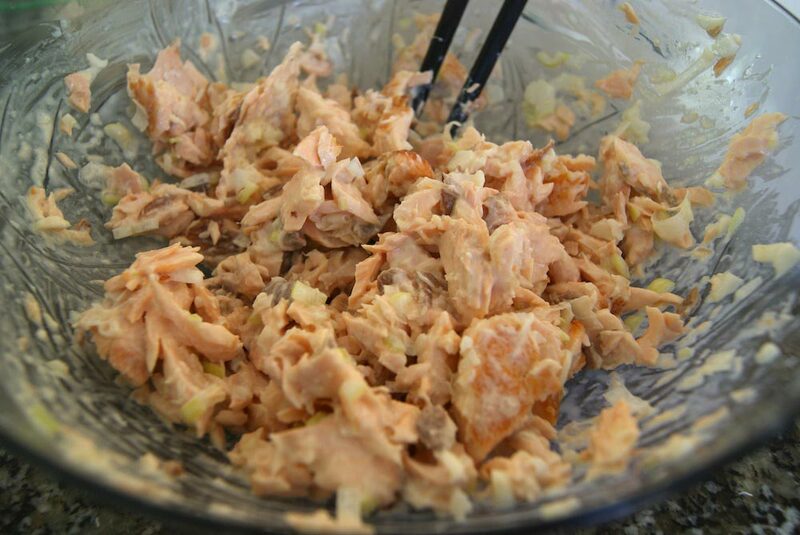 In a mixing bowl, break apart the cooled salmon fillet. 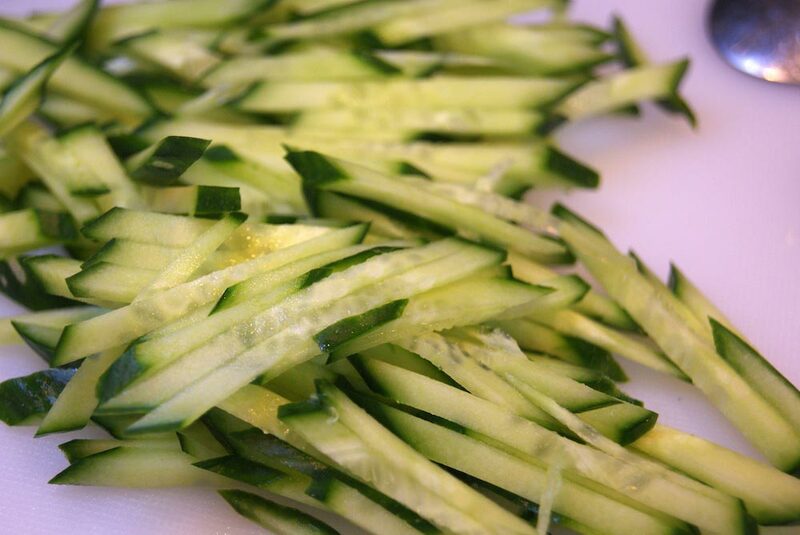 Add mayonnaise and tokyo negi (or green onion) and mix well. 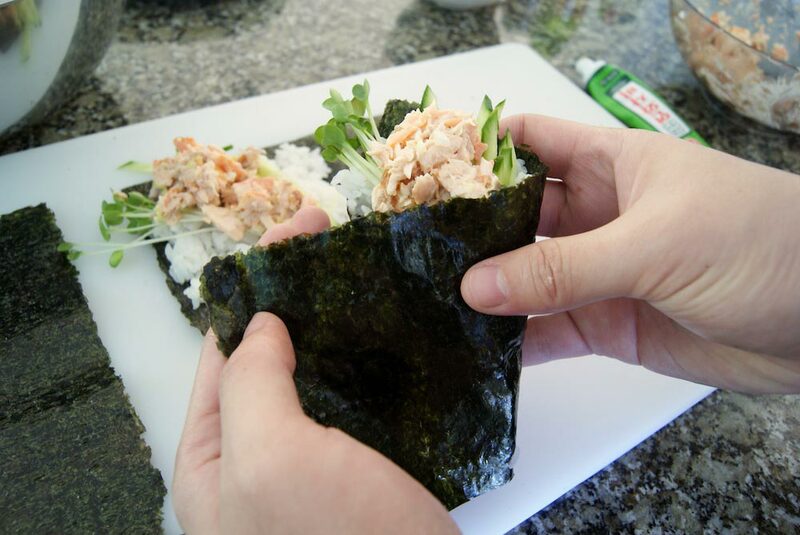 Before putting rice on the nori, make sure your hands are slightly moist (not dry or not dripping wet) to prevent rice from sticking to your fingers. 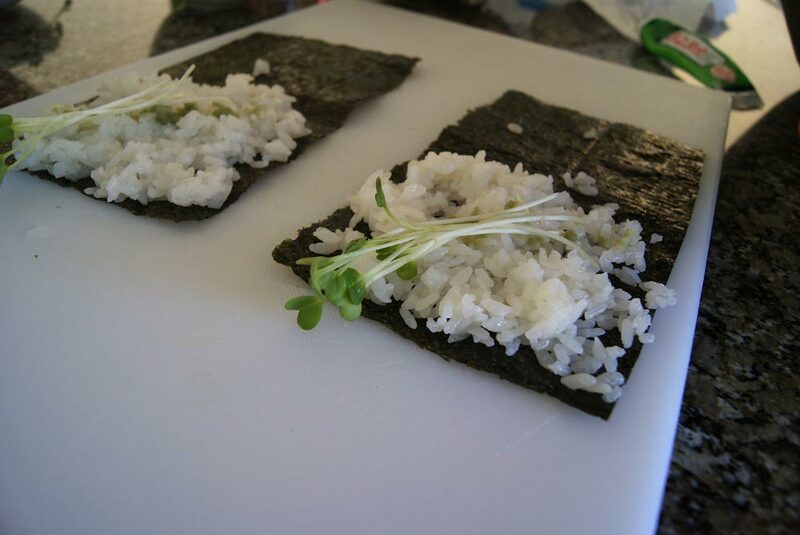 Place sushi rice on half of the nori (not too much). Dab a little bit of wasabi on the rice. 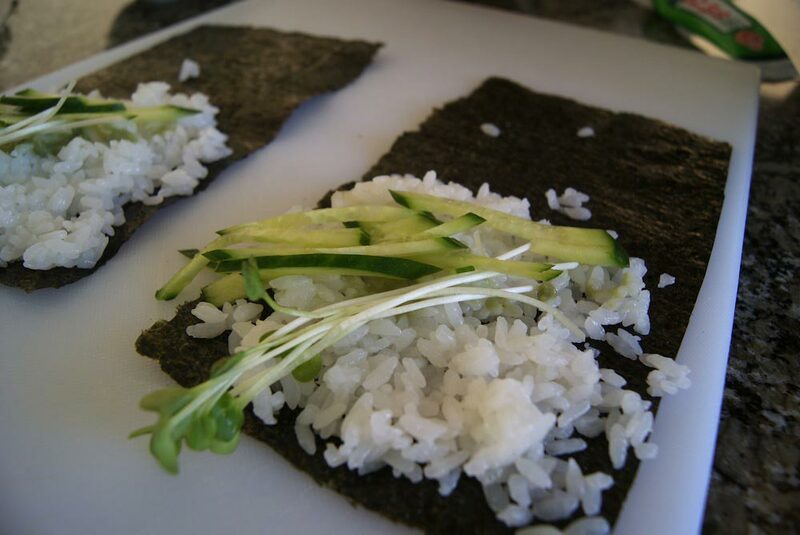 Start filling the roll with the other ingredients diagonally from the upper left corner to the lower center of the nori. Fold the left bottom corner up towards the center. 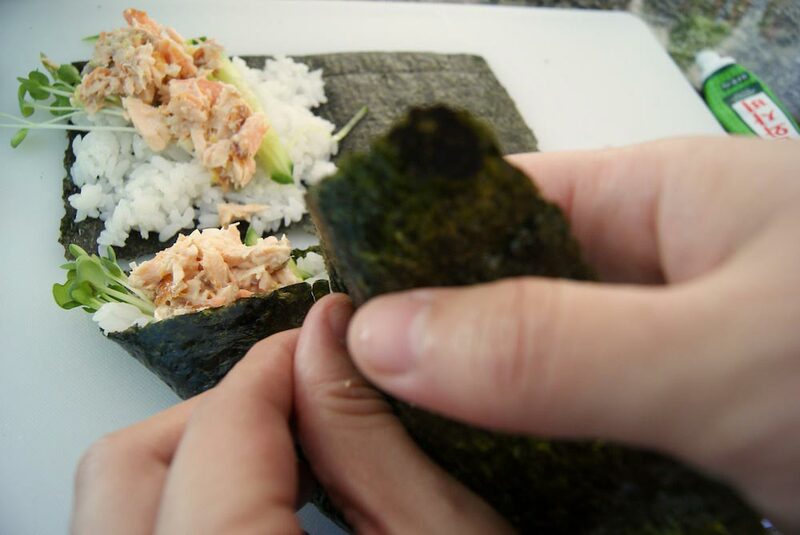 Then take the upper right corner of the nori and wrap it behind and around to make a cone shape. 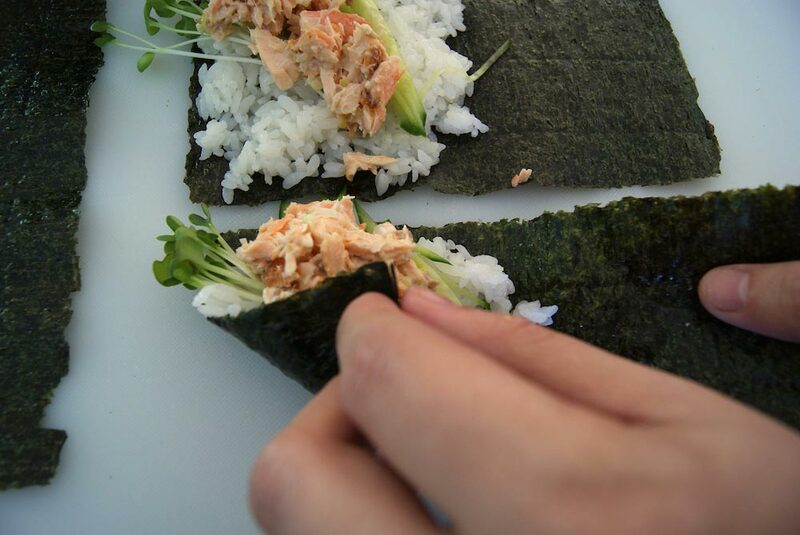 Eat these salmon hand rolls right away or the nori will become soggy!